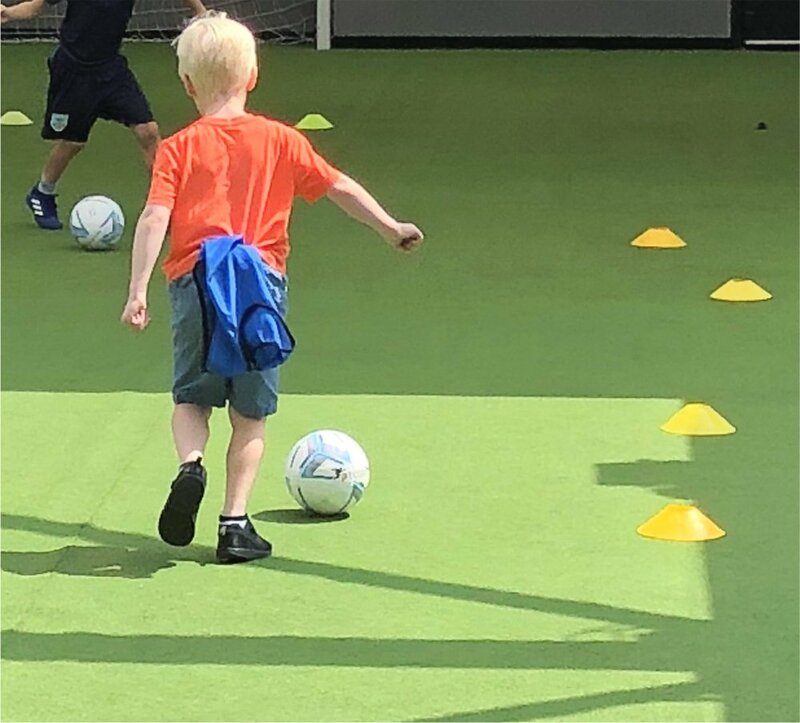 If you’ve got football crazy kids and a whole lot of summer holidays to fill, why not book them into the Summer Football Camp at Hotel Football right next to the Theatre of Dreams. I took the boys along yesterday for a mini taster session at they LOVED it! 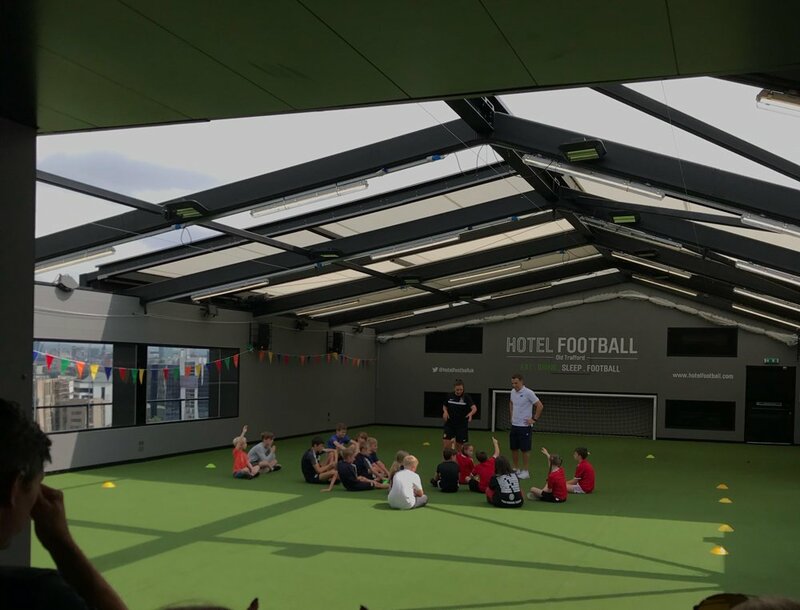 The football summer camp is run by FA qualified coaches, kids will learn and practice a whole range of football skills and techniques up on the cool rooftop pitch at Hotel Football. A week of football camp is sure to keep the kids happy and is great for getting them running around burning off energy! The summer football camp package includes a whole lot of fun…. Breakfast for the kids – juice, cereals, fruit and pastries. 2 qualified FA coaches who run the football activities throughout the day. 2 course lunch from the kids menu at Cafe Football Old Trafford. Awards certificates and medals for the 5 day attendees. 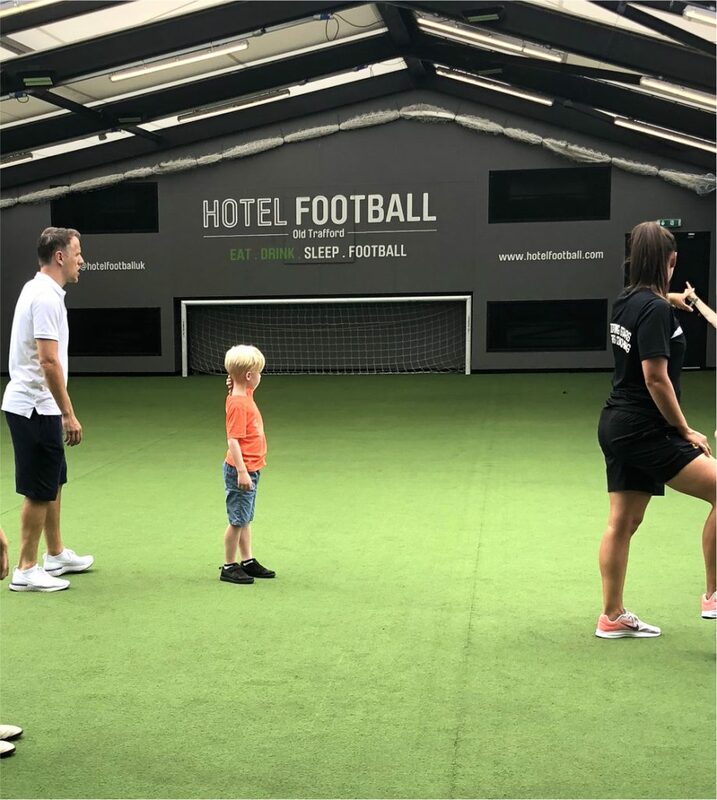 Hotel Football Summer Football Camp is suitable for kids age 7-12 years old and runs from 08:30 – 17:00 – Monday 30th July – Friday 3rd August. Disclosure – Hotel Football invited the boys along to try out the football camp free of charge – for full details of my disclosure policy please read here.